I was not sure if the concept of six mega acts in the desert at sky rocket prices would work for me. The hotels were full and overpriced. The pit ticket cost a fortune. After more or less hundred shows since the "new" tours started in 2012, I needed a break financially and family wise. But as we got closer to tour start I did some steps on the road that brough me to Desert Trip, Indio, California, USA for this week-end after all. And I have absolutely no regrets, as usual with The Rolling Stones. May be that is the trick - arrive with little expectations, then as they perform as good as they do at times, it is such a great experience. My right hand is packed with wristbands, and it will probably be even more packed by next week. There is a wrist band for the entrance, for the hotel bus, for the extra catering special, and there are other stuff that takes you were you want to be if you are a Stones fan. I am just happy that I can still do these things, given the complexity of leaving work, family, cost and everything behind for a while. And I expected an aged crowd. It was not aged at all. This was the Coachella style. It was dusty, the girls were smart dressed hippy style with boots, heals, looking great, and wherever I looked, people were in their 40's, not in the 60's. Nothing wrong with age, but it is true that a mix of age makes things move a bit faster. As I entered from the rear I passed by the enormous beautiful Ferris Wheel of Coachella. There were numerous security posts, checking bags and wrist bands again and again, still relaxed. I was asked to move on, and as I tried my way on the right side I was passing by all the section and sent to something called "Diamond Lounge" and beyond that. It was like Glastonbury, everyhing was cool, no stress, I liked it, and the temperature was great. The girls were dressed for party and the boys ditto. I tried to figure out Bob Dylan, but as I am not a big fan, I spent most of the time at the lounges, went back and forth, saw his black and white videos, wonder why he does not make it possible for the fans in the back to have a view of him. He should be at a club show if he is too shy to show his face on a screen. 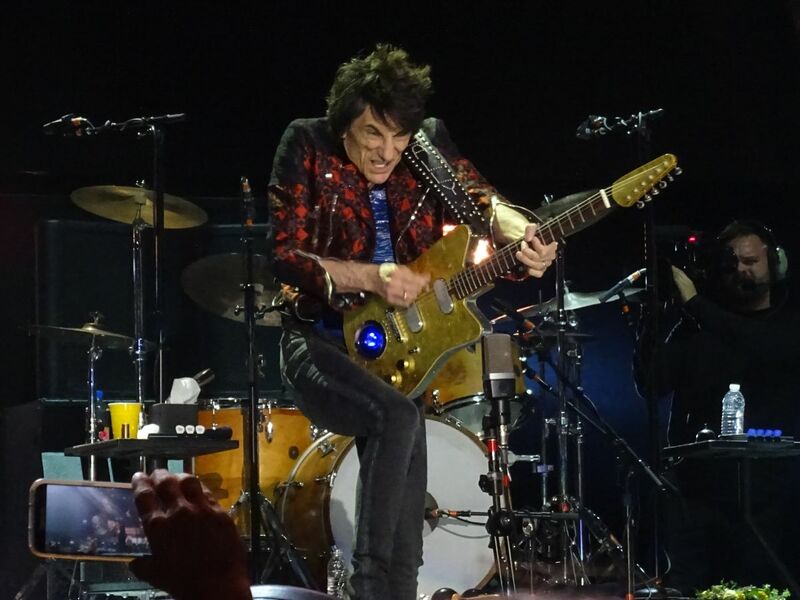 Well who am I to have an opinion, he put on a great show according to fans around me, it lasted from few minutes beefore seven o'clock until ten minutes past eight o'clock i.e. one hour fifteen minutes. It took a while to prepare the stage for the Stones. There was an enormously wide curved screen behind the entire extended stage, they were showing desert images of mountains, rocks, palm trees, stars and so on. Then by 9:40pm they shut the screen images off, and soon after the Stones show started. The Rolling Stones were on from the start. Some might say rusty, but that is the Stones. We got some great songs. The new blues song "Ride 'em On Down" was great in such a setting, normaly found in smaller places like a club. Ronnie did a great solo on that one. "Come Together" made everyone sing along. Probably Paul McCartney too, who was watching the show from his VIP seat. During the introduction Ronnie got his new nickname "Double diapers Ronnie" by Mick, he was as happy as ever to salute the fans up front for a brief moment. Charlie was more reserved during the presentations, he walked halfway to the front and turned back fast. "Little T & A" sounded great, I was so happy to hear that song, and it rocked. Keith should play it more. Then another great long version of "Midnight Rambler" with lots of band emotions. Disco style "Miss You". Then the real show begins, I mean what you migh call the "home run", the part which is simply outstanding. "Gimme Shelter" is so powerful. 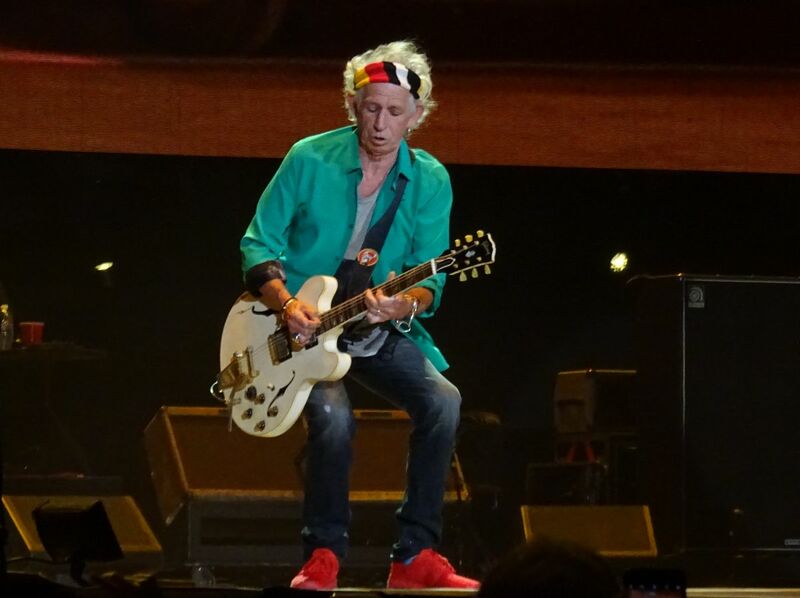 Keith guitar is turned up a lot from then on, Sasha is working hard, ditto Mick, and the rest of the band do their best. It was the highlight of the show for me. Mick was down by the extended stage all the time, knowing the fans were far far away, and he wanted to reach out for the fans in the camping chairs as well. After two hours ten minutes it was over. A blistering Satisfaction made me freeze as they did the final bow. Then I rushed out, made it to the hotel shuttle in 40 minutes, and twenty minutes later I was back to my hotel. A good night sleep, my dreams were on the show, on "Gime Shelter". Also "Come Together" was in my mind as I slept the best sleep I have had in weeks. By 9:45am I had breakfast, and soon it is another show to attend tonight. Well we are so lucky. Mick said thank you to us for coming to see them again and again all these years. I would say thank you for giving us all these great moments during our lifetime. It is not just the band and the songs. It is the friendships, the crew, the entire touring party. We are lucky. And next Friday, we get to see them again. Up until a week ago I had little interest in attending Desert Trip, but I didn't want to give up the refundable hotel room I had booked before the announcement and then I scored a cheap pit pass on Stubhub as prices dropped faster than the British pound. Oddly enough a dude beside me at the venue boasted that his wife "got lucky" by scoring their pit passes as soon as they went on sale. Err, no. You got suckered. If you have GA or grandstand or even floor seats for Desert Trip 2, I strongly recommend that you throw away the tickets and shell out for pit passes, otherwise you are just wasting your time. You will not see anything on stage. The pit was the best one I have been in at any concert, quite empty, lots of room to move around and excellent sight lines. I was completely oblivious to the people far, far away in the rest of the venue, so it felt like a private show for a few thousand people. The grandstands might well have been in Arizona. The Stones were lucky having Dylan open for them because he is obviously the weakest link in the lineup. The one good thing about his performance: It could have been much, much worse. Thankfully he ditched the horrible Sinatra songs with which he has been torturing audiences for the last few years, and played a greatest-hits set ranging from Rainy Day Women #12 & #35 to the encore "Masters of War." He mercifully excluded Blowin' in the Wind. No one paid him much attention, and there was no applause when he left the stage for the final time. I should warn you that Dylan still brings out the Deadheads, and you may hear comments like "Jerry does that song ..." Just step away and take some deep breaths. Try not to get violent. If someone mentions "Phil Lesh," just say, "Who?" 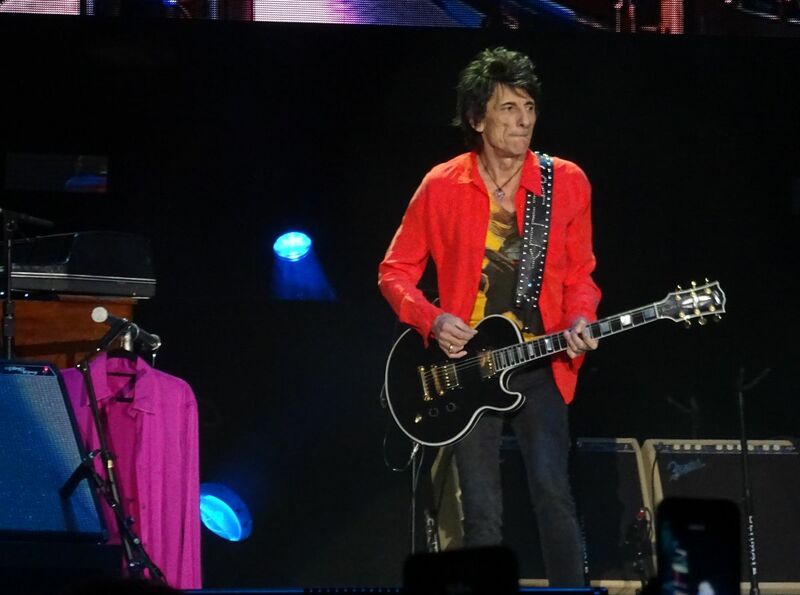 The Stones came on at 9:43 after a break of almost 90 minutes - too long, quite frankly, for a festival, and I immediately felt underwhelmed by the one-two punch of "Start Me Up" and "You Got Me Rocking." I just stood there like Bill Wyman, and wondered if a certain poster on iorr.org was going to proceed with his threat to kill himself now that his worst fears had been realized. Hopefully he waited until the end of the show because things picked up remarkably as "Out of Control" led into the world premiere of "Ride 'Em On Down" from the new blues record. The song, apparently a variation of a Bukka White number from 1937, is a good little boogie tune. I think we sometimes forget that the "blues" can be fun, like a good-time R&B song. It doesn't have to be a plaintive dirge by a guy on a scratchy old acoustic. 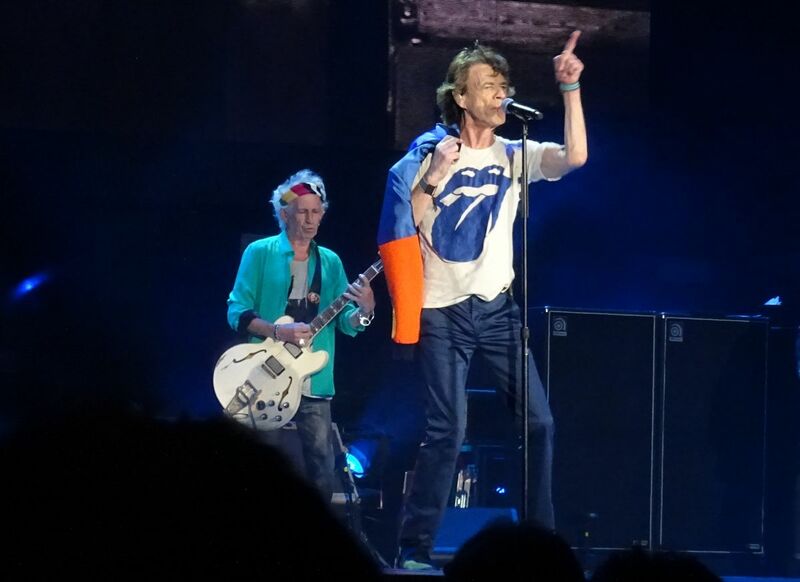 I wish the Stones had played a few more "Blue and Lonesome" tracks because they clearly had a good time. Shout-out to Mick. He dressed great, and sprinkled a bunch of jokes. I liked the blue and orange jacket he wore at the start, the blue tongue shirt that he wore throughout (does he ever pimp the tongue logo? ), and the crimson hoodie at the end. He even flipped up the hood as he came out onto the ramp near the end of "Satisfaction" and again as he left the stage for the last time. He wore nay blue pants with a red vertical stripe on either side, a bit like U.S. Marines dress blues. 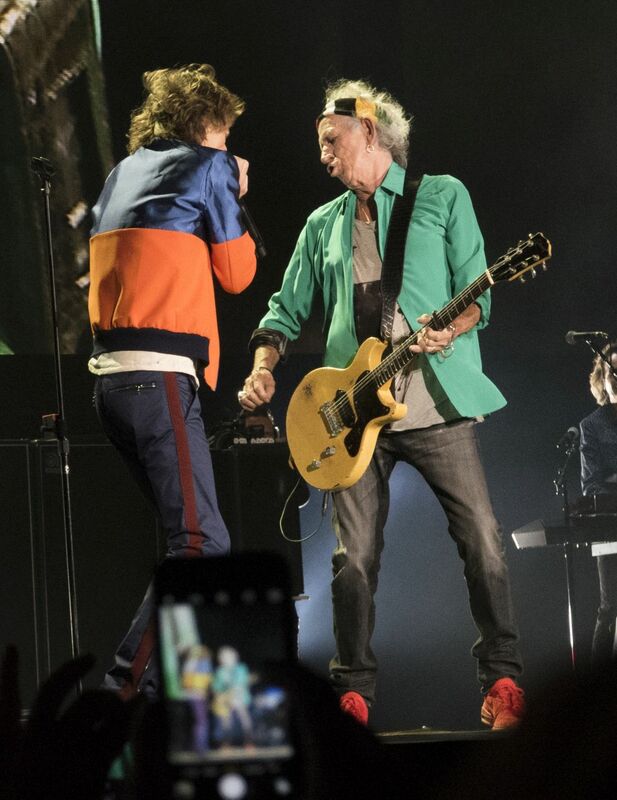 Keith and Charlie both wore green - c'mon, wardobe coordinators! ; and Ronnie "Douple Diapers" Wood wore a yellow t-shirt in the style of the others he has been wearing the last few years. Everyone looked happy and fantastic, and it seems Keith shelled out for a new pair of red sneakers. Mick cannily neutralized the "Oldchella" jokesters with a few age-related comebacks of his own. "Welcome to the Palm Springs Home for Genteel Musicians," he said. Later he joked that "we're looking forward to seeing the dinosaur park." (I recommend a visit actually; it's just off the 10 Freeway, a weird religious place that disavows Evolution.) 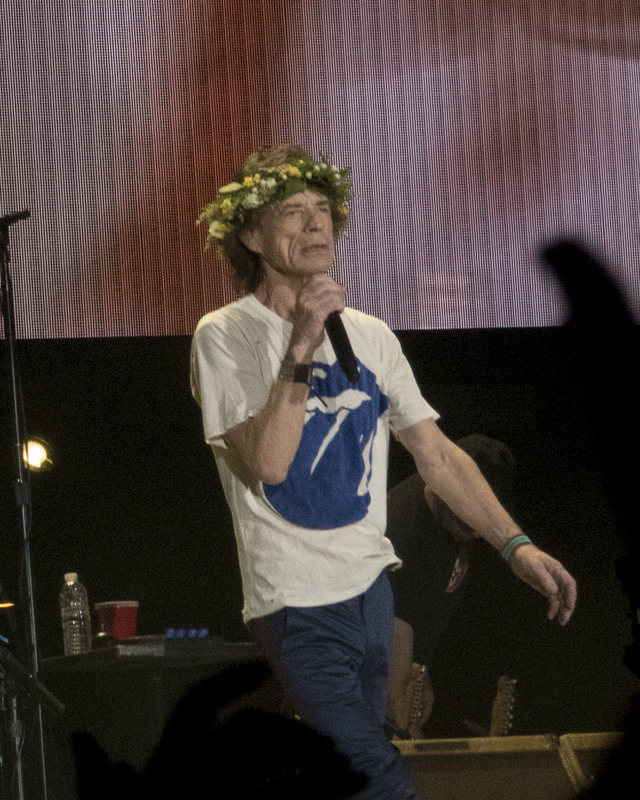 Overall, Mick was very respectful of the gravity of Desert Trip, remarking a few times about his pleasure being there - though surely the paycheck helped. He said he was looking forward to seeing, "Neil, Paul, Roger, Pete and Roger," rattling off their names as if he were a receptionist at a white-shoe law firm. He also noted that most of the participants had been playing for music for more than 50 years. "We think it's pretty amazing that you're still coming out to see us. So thank you very much indeed." Both he and Keith gave shout-outs to "Mr. Bob Dylan." 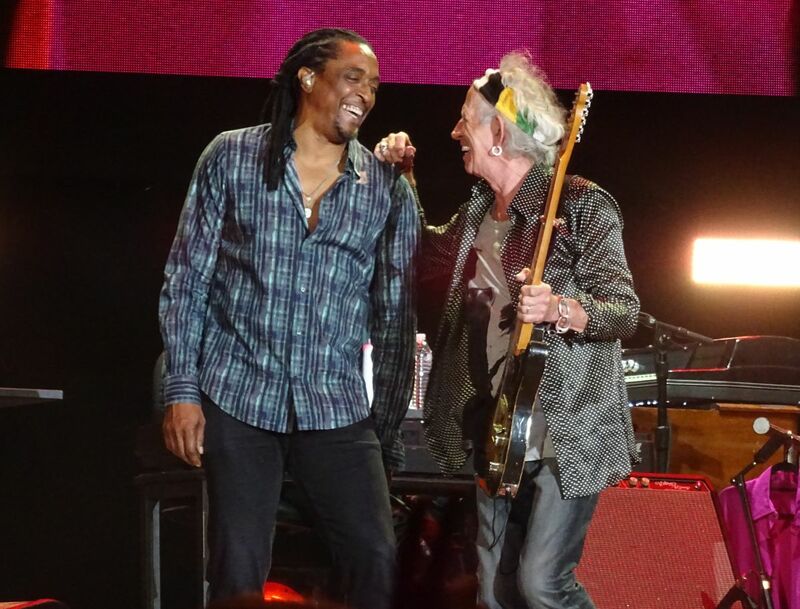 Keith said he wouldn't have missed his set for anything. Mick thanked Dylan for opening for them, which is chronologically correct, but a bit misleading. It was great to hear "Mixed Emotions" for the first time since 1990 - ahh, a great reminder of seeing them in Alpine Valley and across Europe. 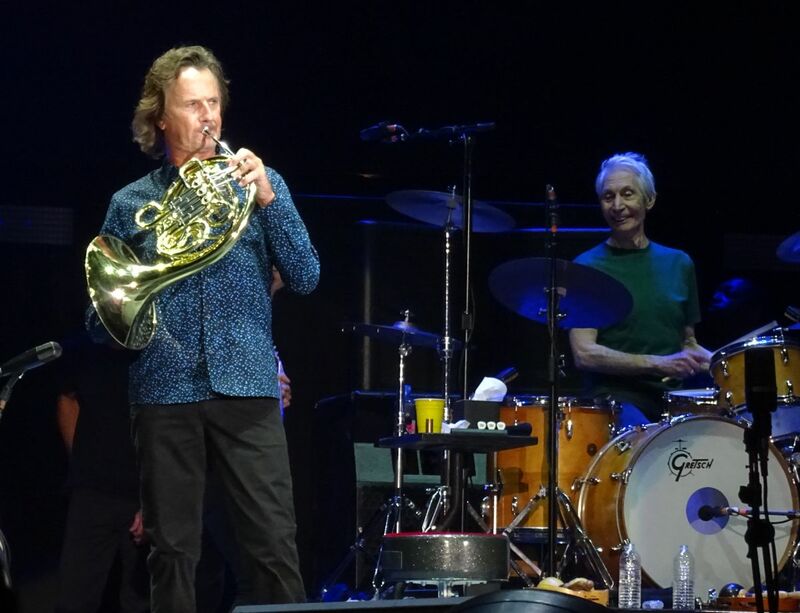 Didn't there used to be a horn section on the live version? 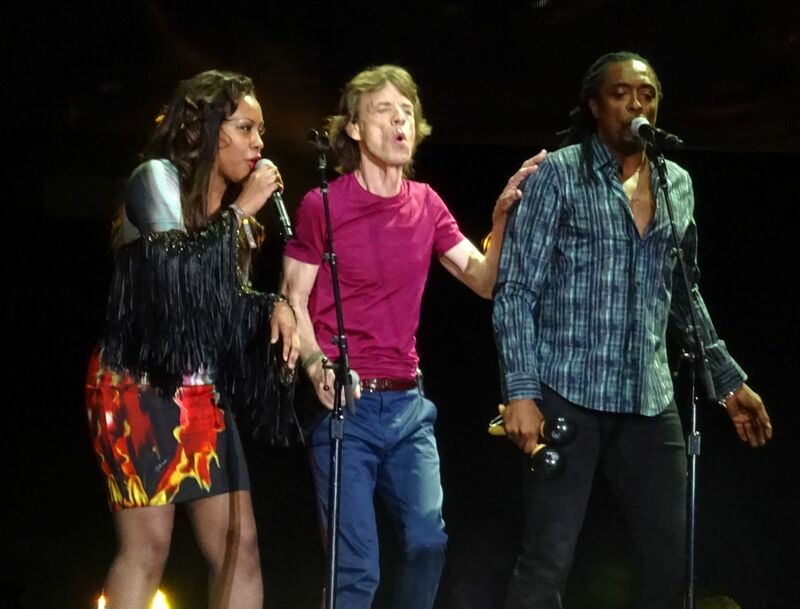 Sasha, making her stateside debut with the Stones, was way too high in the mix. Maybe the highlight of the first half for many people was another world premiere as the Stones did a song by some "beat group" - "Come Together." It was cheesy as hell, and the guitar work was ragged. I don't want to go to a Stones show and have to think about the Beatles. I read it as a message to Paul and others - "Hey, we're all here, let's have some fun with each others' songs, let's play together." Whether they recipocate is another matter, and maybe Paul is grumpy that they covered a John Lennon song - although I prefer to think of it as a Chuck Berry song. Mick read the teleprompter for most of it, and I don't blame him. It's almost like a rap. At the end, he asked, "What do you reckon then?" "Midnight Rambler" seemed economical at 11:35. Keith gave the signal quite early to Charlie to begin the song's climactic finale. I'm not sure the crowd was really into it anyway. We're not in South America anymore, sigh. I tried to ignore "Miss You" and the other crowd-pleasing hits that followed. I noticed that an aerial camera directly above Chuck's head shows the set list when he is playing the organ, so be careful if you don't want any spoilers. Matt Clifford was at his keyboard for the entire show, completing one of the most amazing comebacks in rock 'n' roll history. The only time I heard him was when he shook lots of little percussion instruments on "Brown Sugar" - and I swear he made the song sound pretty cool. In some ways he made more of a difference on that song than Bernard and Sasha did during the entire gig. Alas, his mike failed during his spotlight on "You Can't Always Get What You Want," so he just stood there blowing into his French horn to no avail. 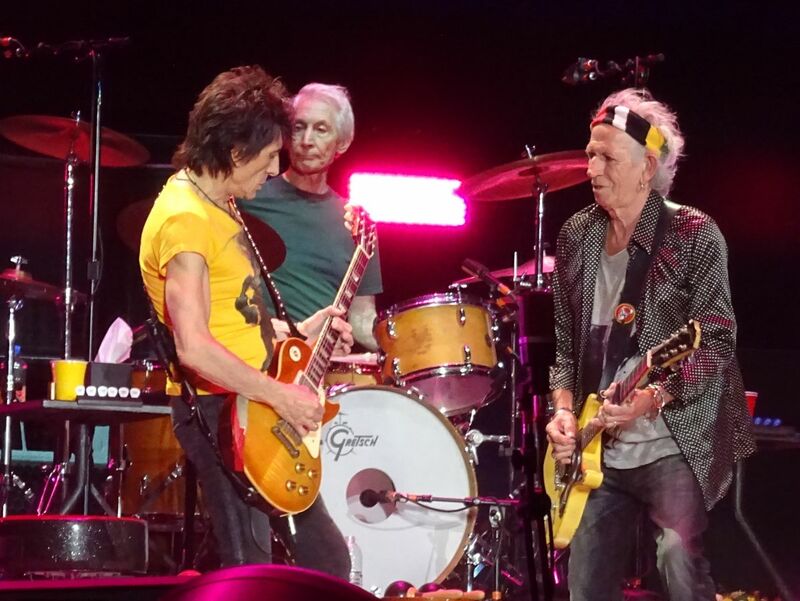 Mick and Keith looked a little vexed, but kept their eyes on the audience. I'm sure Chuck got some Schadenfreude. I hate to sound like a newbie, but I loved "Satisfaction." It never really gets old, and it really is the national anthem for the entire festival. The Stones left the stage at 11:51, and I recovered my bike at the car park for a hasty getaway. Overall, one of the better shows, and certainly a vast improvement on the disappointment in Havana. Nice to see a sprinkling of "kids" having a good time in the pit. If you are on the fence about coming out, worried about facilities and infrastructure, I can assure you that the promoters have done a good job ensuring the availability of the comforts that Americans expect. 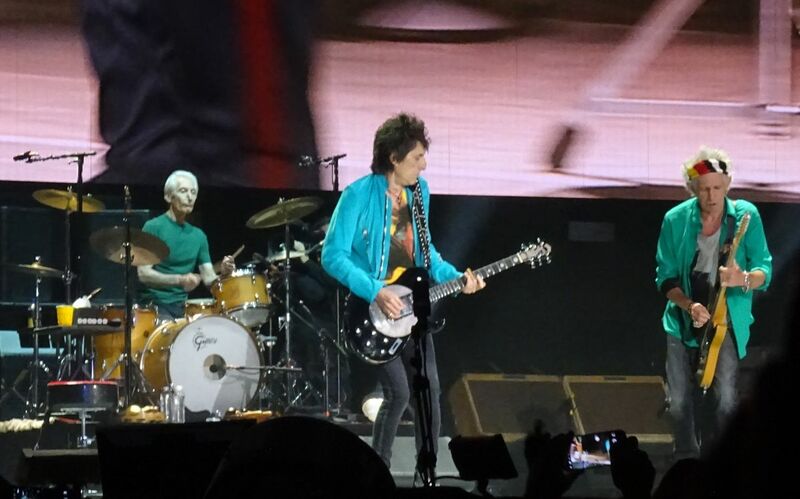 The Rolling Stones put on one of their typically entertaining shows in Indio, California last night, and built upon it with a few numbers that were surprising enough to satisfy even the most discerning lifelong Stones fans. It was a satisfying, straightforward show, undistracted by special guests or a Brian Jones hologram. The delta blues song Ride ‘Em on Down (aka Shake ‘Em on Down) was the first surprise; it was short and to the point, and was a great tease for the new blues album out in December. 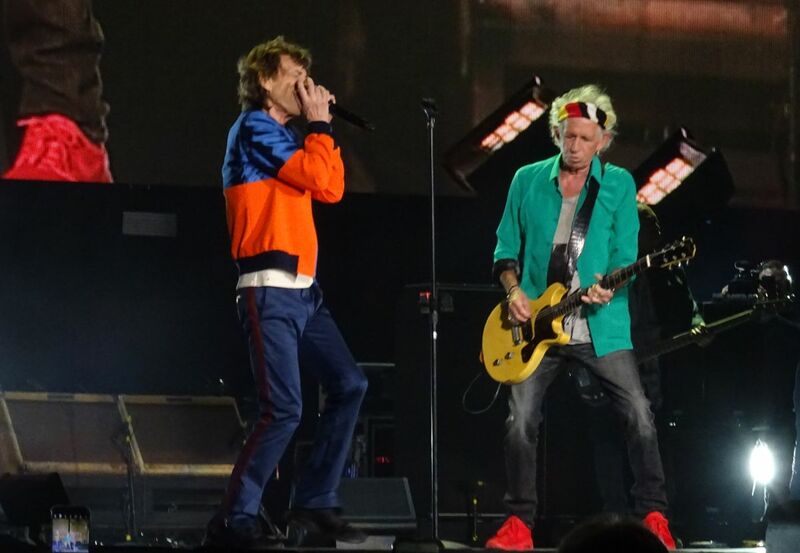 It is great to see the Stones utilize Mick’s harmonica abilities in different ways now, from the blues covers to trading lines with Keith during Out of Control. Out of Control has always been an amazing song, and after nineteen years it is nice to see it finally being recognized (by the band and fans) as a powerful feature of a live show. The second surprise of the night was a cover of the Beatles’ Come Together, a witty, thoughtful nod to the 1960s theme of the weekend, a John Lennon song thrown in the mix the night before Paul McCartney plays. 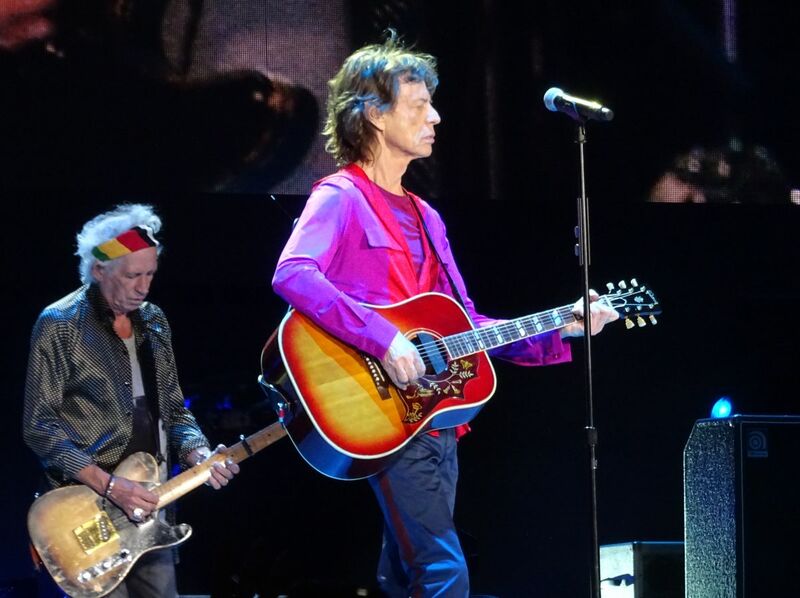 The version was yeoman like, the best part being Mick’s growling vocals that pushed the song toward the blues genre the Stones have focused on throughout their career. 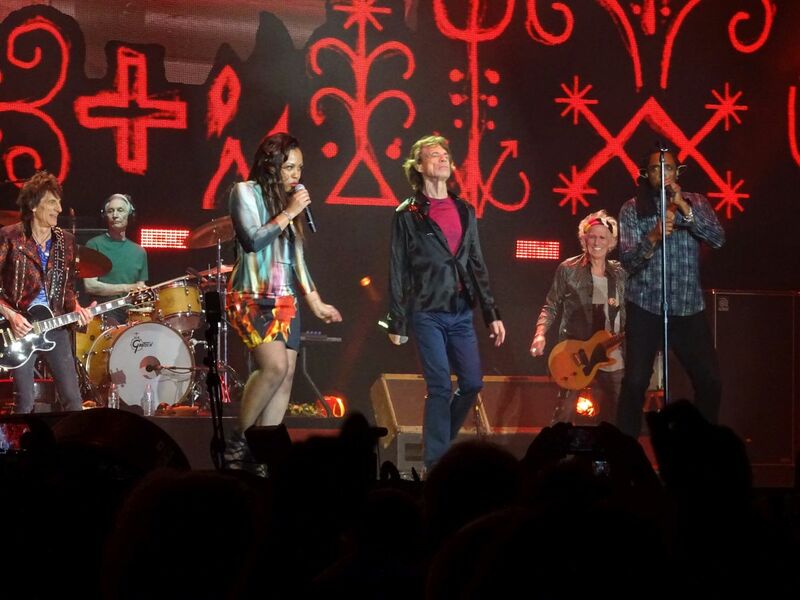 The fact the Stones join Aerosmith and Michael Jackson in covering the song is perhaps a bit cringe worthy, but when Mick suggested they were to play a Beatles song, I immediately thought they would take the usual, Stones non-challenging way out with I Wanna Be Your Man, the Beatles tune they recorded in 1963 and covered during the 50th anniversary shows in 2012. Like any slightly new or risky idea we see the Stones take, it was excellent to see, but left me wanting more and wondering why they don’t mix it up like this more often. A for effort, B for actual performance. If some lunatic in the Tell Me pages speculated that the Stones would play Come Together, I would think "Why do I read this crap?! ", and close the page. To see that cover become reality was special. It was great to see Wild Horses in the set list, a song closely associated with Gram Parsons and the desert theme of the weekend. It was inspiring to look north and think that over the stage in the not too far distance is Joshua Tree National Park and its surrounding towns, a place Parsons spent time with Keith, and the place Parsons died and was cremated in an impromptu fashion. There are wonderful pictures of Gram and Keith out in Joshua Tree in the photo exhibit at Desert Trip, and if you are there do not miss that exhibit! I typically enjoy talking about a Stones show based on their interactions with each other and the physical details of the show. However, the vastness of the venue made that impossible tonight. The side stands seemed like a good location based on price and the seating map when ordering. I was naive in this assessment. My location relative to the stage was double the distance that I had visualized. The flat field area in front of the stage is at least twice as wide as an American football pitch, so stands on the side are very far away. Dylan's set made this distance seem greater, as the stage was dimly lit and the massive video boards did not show Dylan and his band much, but instead showed old stock footage of nostalgic things like events around the moon landing (a heavy handed attempt to tug at boomers' heart strings that just seemed silly and did not lend itself to rock and roll). Thankfully the Stones came out as their reliably gregarious selves, the stage was bright, the screens actually showed the band playing. The bright colors each of them wore made it easy to follow the colored dots around the stage when not looking at the video screens. Keith also seemed better dressed than usual, which was refreshing. So if you are here next weekend and think you have some killer seats on the side, ratchet those expectations back. In American football stadium terms, at best you will be at a distance equivalent to sitting halfway up from the end zone opposite the stage. One of my favorite things to watch at a large Stones show is how they can make huge venues seem intimate, but the size of this event did not allow this to happen. Seeing them at Desert Trip most closely resembled seeing them in Hyde Park London. It was a scene, a beautiful night, but not the place to seek an intense musical experience. And all the jokes were true: this crowd not only was very old, but unlike even the aged, puffy, caucasian Stones crowds we are familiar with. 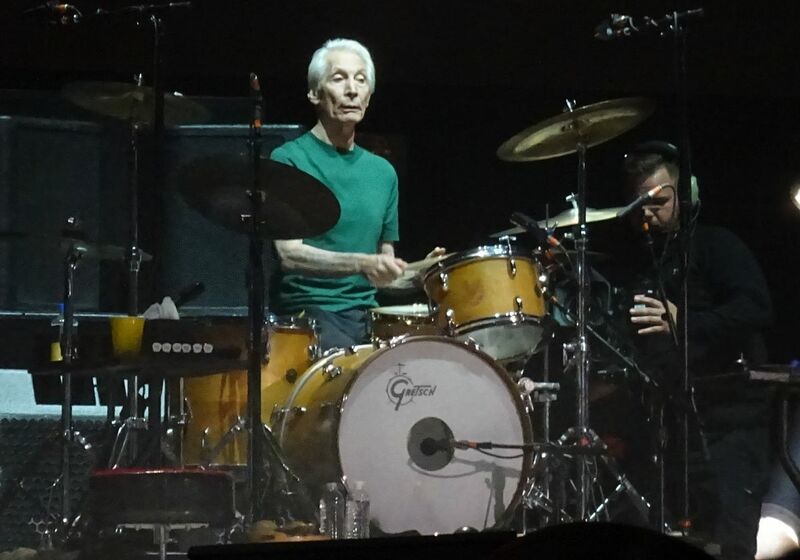 Those lifelong fans were there, but many seemed to be at Desert Trip to check the six artists off their bucket list, mainly because that bucket is large and looming closer. These people were content to sit, look around impatiently, check their phones often (social media posts from Desert Trip are soooo cool--now which button do I push?! ), and leave before the encore. They soldiered through the experience to say they were there, but watching bands was not even a real activity for them. I saw people dozing off, and not because of alcohol. With the exception of four or five songs, people in the stands sat there like a throng of lethargic trucking executives. There was an elderly lady and her mother (yes, her mother) next to me, and I just had to ask, "Have you seen the Rolling Stones before?". She smiled, and replied, "No". That's it. No passion, enthusiasm, or vague understanding. But they were there damn it! Maybe I can understand the motivation for these folks to get out, but that unusual element to Desert Trip makes me uncomfortable. It was perfect when Keith played Slipping Away--oh what a crowd appropriate song! It could easily be a commercial jingle for an elderly care center or hospice, but for this crowd and its members about to overdose on years on the planet, it was perfect. Shuttle to and from hotel was like being in summer camp filled with happy concert goers reveling in the excitement with the stereo blasting tunes from all bands on the bill. Jumped on the first shuttle at 1:30 to arrive their early and get the lay of the land. The festival grounds are literally like a mini village with different 'neighborhoods' to roam around for food, drinks, and an actual record store!! !, There was an amazing large air conditioned gallery showcasing a Photography exhibit from the best rock photographers in history. Filled with iconic photos of all the bands throughout their history (some I've never seen before), it was a good way to spend an hour out of the sun. There was also a large bar in the center of the gallery with couches, tables, etc, to lounge around. And speaking of couches, etc., there were many outdoor areas throughout the site designed for kicking back, eating drinking, etc. while sitting on 5 star quality furniture! Once I scoped all that out, I made my way into the adjoining concert site itself which was insanely massive! The screen stood tall and proud like a beacon in the distance - it was surreal to enter the area with thousands of empty chairs, and a close to empty pit area. It's hard to describe the size of the place as it was so huge - not only far back, but the width from left to right. There must have been 100 yard distance between left and right grandstands, and from the stage to the rear of the GA it must have been twice that distance. With the giant stage screen along with giant 'smaller' screens for the GA folks, nobody would have a problem seeing what was happening on stage. Pre-show early evening, the screen lit up with gigantic panoramic views of the Desert. The pre-filmed scenes reflected real time and changed accordingly. From blazing sunny mirages and scenic Desert landscapes, to the sunset lighting up the sky with purples, oranges, and pinks, to star filled darkness. If one stared at the screen, it was almost hard to differentiate that from what was happening in reality. When the sun finally set, so did the images on the screen with a dark starry desert night - shooting stars and all! Dylan's set was absolutely great, and with the the gigantic screen as a backdrop it was visually stunning, not to mention the LOUD volume of the state of the art sound system. A brief segment of photos and clips of Dylan throughout his long career began the show when suddenly his band started cranking away. He opened with a rollicking bar room Rainy Day Women ?12 & 35 ("everybody must get stoned" ) which established his greatness to those who've never seen him, before moving forward and being his quirky self with re-intepretations of many of his songs (Don't Think Twice, It's All Right, Highway 61 Revisited, Tangled up in Blue, et al). Crispy clear close-ups of Dylan and band from different angles, along with vintage black and white news and film clips interspersed was the perfect backdrop for the old timer legend. Prior to his set, I wasn't sure how well he could pull it off in a giant festival setting. Probably not to everyone's liking, but he easily held his own and most of the crowd seemed to enjoy it to the end. As for me, I can honestly say it was one of the best Dylan experiences I've ever witnessed live. After a brief intermission, it was time for the Stones. They utilized the screen and sound system to the fullest - their pre-show video intro was loud and visually stunning. Bursts of red and thundering booms, the stage was set for what some still refer to as 'worlds greatest rock and roll band' which they definitely once were. Opening with warhorse staple Start Me Up (not a personal favorite, but perfect choice for this type of crowd), the Stones put on a typical state of the art Stones show - warts and all. Ride 'Em on Down, was easily a top highlight, and I wish the set consisted of more of that, but dream on. Also a surprising cover of the Beatles' Come Together which should finally put the Stones/Beatles rivalry to rest - it was great homage to their brethren, albeit slightly sloppy and clunky. 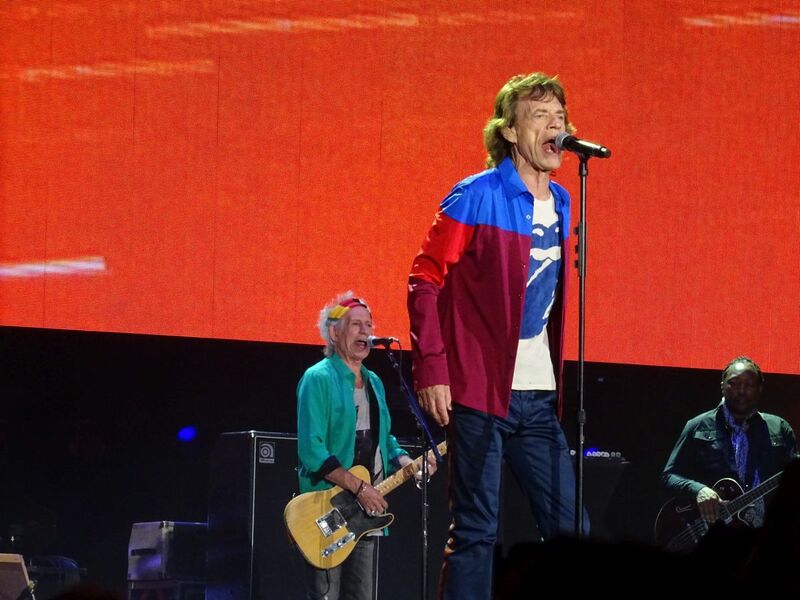 Midnight Rambler is what the Stones are all about in a live setting for me, and no doubt the nights ultmate highlight. 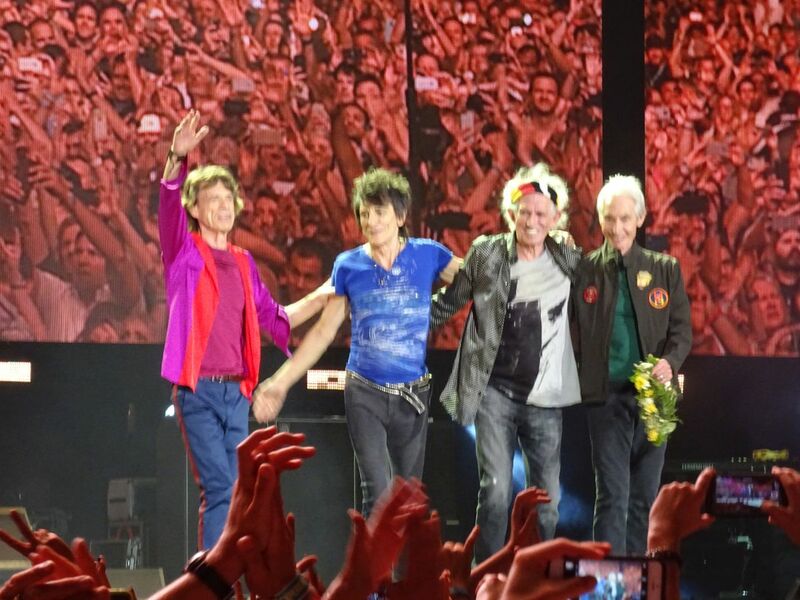 No matter how many times I've seen the Stones (in small clubs, arenas, and stadiums), and just when I'm about to write them off as over the hill, faded, and shadows of their former selves - they can still deliver a somewhat memorable show (for what it's worth, it was much better than the San Diego opener I saw last tour). Sure Ronnie isn't the worlds greatest guitarist. Yes Keith has lost some of his mojo. Obviously Mick has lost a step or two in his energy. But Charlie remains the engine that keeps the band chugging, and because of that is probably the main reason why they're still worth seeing live. Glad I didn't purchase a Pit upgrade as I was able to roam freely even finding some empty seats a few rows behind the Pit. As everyone was standing and the aisles were clogged during the Stones set, I bounced around and maneuvered here and there throughout the show. It was great to get up close, but it was also great to step back within the first 30 rows and absorb the visuals on the giant screen along the overall atmosphere of the entire site. And as someone with a bad knee, it was nice to have a chair to rest my bones every once in awhile. If the festival was over last night, it would already stand as one of the best all around concert experiences I've ever been to. But we've only just begun. The bar has been set last night, and Neil Young should be explosive tonight, with Paul McCartney probably putting on one of the best shows he's ever done. And then there's tomorrow. The Who have some hard acts to follow, but am sure they'll give it their best shot. And then there will be the ultimate closing set of Roger Waters who will be basking in all the glory. For those who have been on the fence wondering if this event is worthwhile, I'd highly recommend going next weekend - especially when you can easily get tickets at heavily dicounted prices right now. Pit tickets are currently as low as $399 for next weekend....do it now! “We are playing more than 50 years for you and you are still here! ?”, Mick was wondering at the beginning of the show. What is the reason for it? 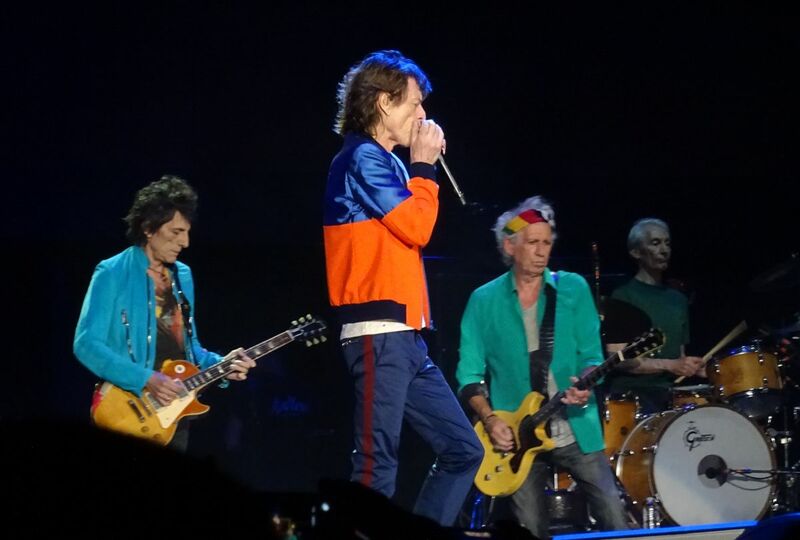 The reason is that The Rolling Stones are willing AND able to get an (seated) audience standing up, get them moving and dancing from the beginning. With “Start me up” everybody was started up! 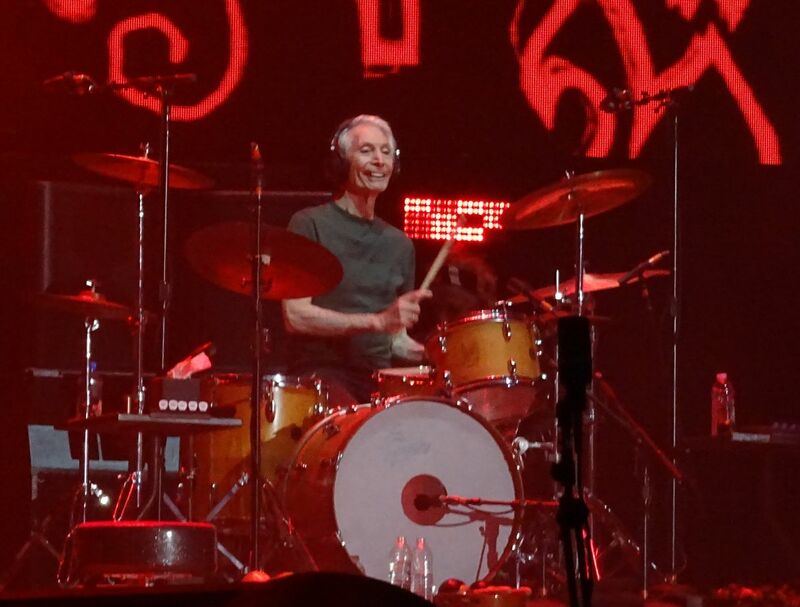 And this is Micks goal for every single gig since more than 50 years; he pushes all his energy into it! I flew down 12 hours to L.A. and took the Greyhound to Coachella. 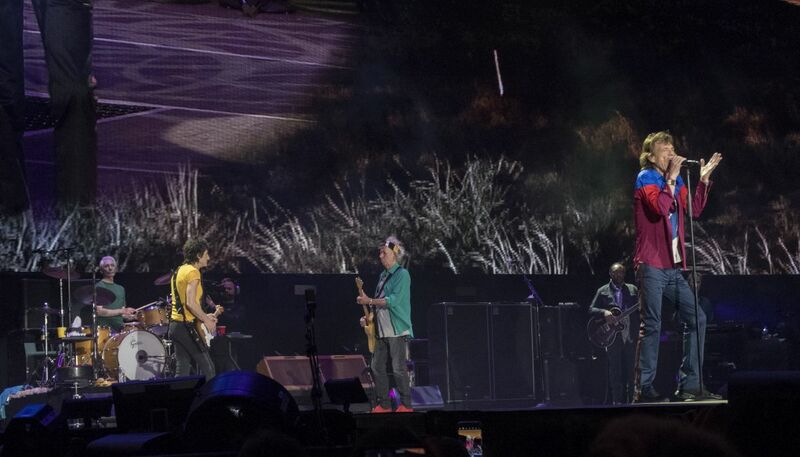 Coachella is the perfect place for a Stones concert, desert & palms, nice weather - even at midnight -, beautiful environment, the “holy” grass of the Empire Polo Club to dance on and a lot of “hippies” around the field, nice to look at. It is California. The sound was crystal clear, I can´t remember having such a good sound at any venue. The Intro was specially designed for Coachella. “Start me up” makes the audience ready for the show. 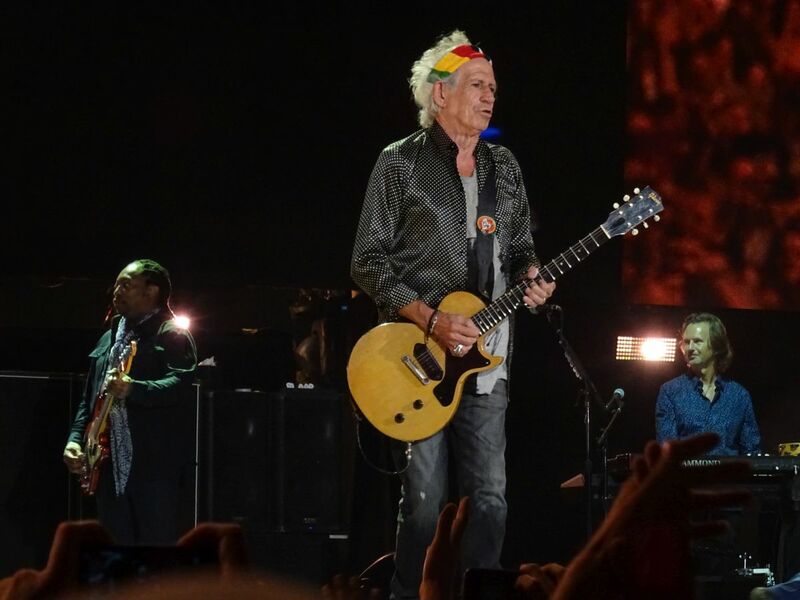 Then we maybe were the first ever seeing the Stones performing a song from their new Blues album “Blue and Lonesome”. They are really good at (Chicago) blues. 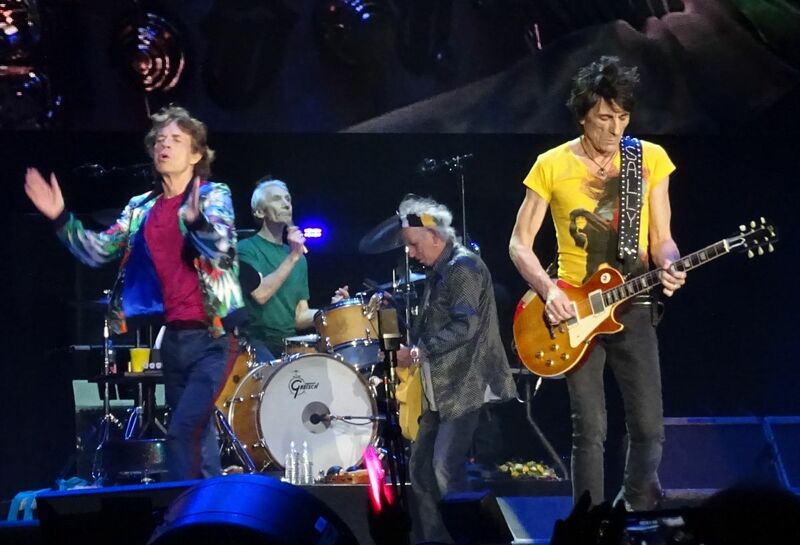 In the second part of the concert they played all their warhorses: “Midnight Rambler” and “Miss you” were masterpieces of improvisation. 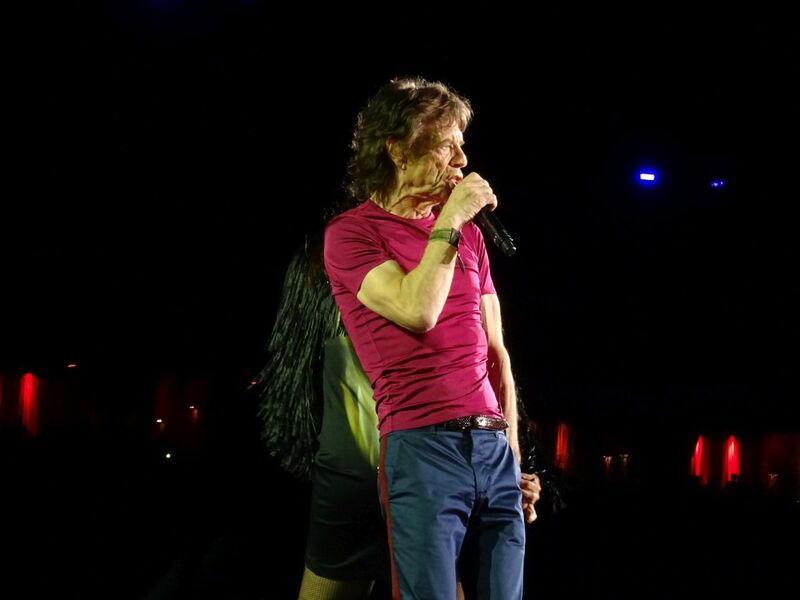 Sometimes the audience wanted to sing ahead as usual, but Mick stopped them: “Not yet”. And he played some extras surprises before coming back the known sequence. 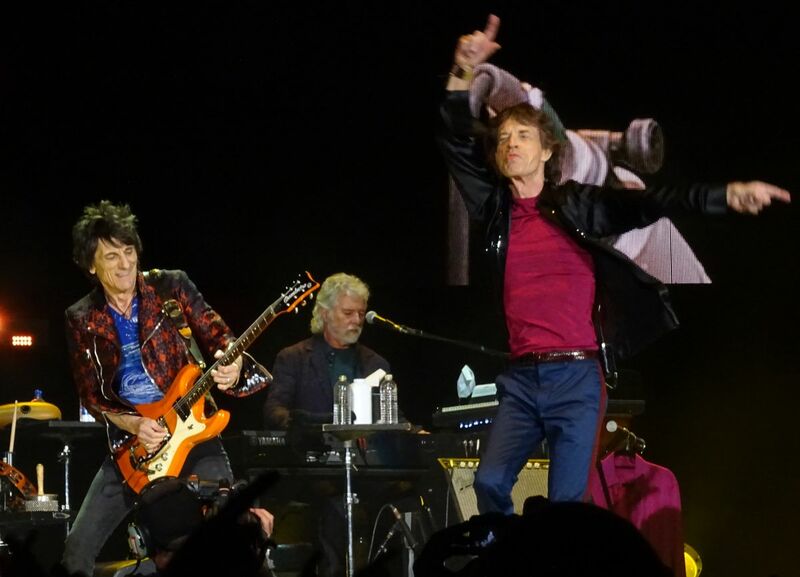 ”Gimme shelter” is always my favorite and it was in Coachella (but Lisa changed to Sasha, don´t know why). The next song was “Sympathy” with a new impressing “Californian” screen show, love that very much. And YCAGWYW was emotional and touching; and they are right: You can´t always get what you want but you get what you need. When “Satisfaction” was over I had the strong feeling to stay a week longer for the second desert trip weekend. But this was only a dream. But I´m desperately hope to see them next year somewhere in Europe with the whole family.